We were very lucky with our house. No garish wallpaper, no dado rails, no terrible 60s kitchen. It has been a rental property for seven years so it was magnolia, beige and relatively inoffensive throughout. There is, however, one totally awful room. Or should I say two rooms? 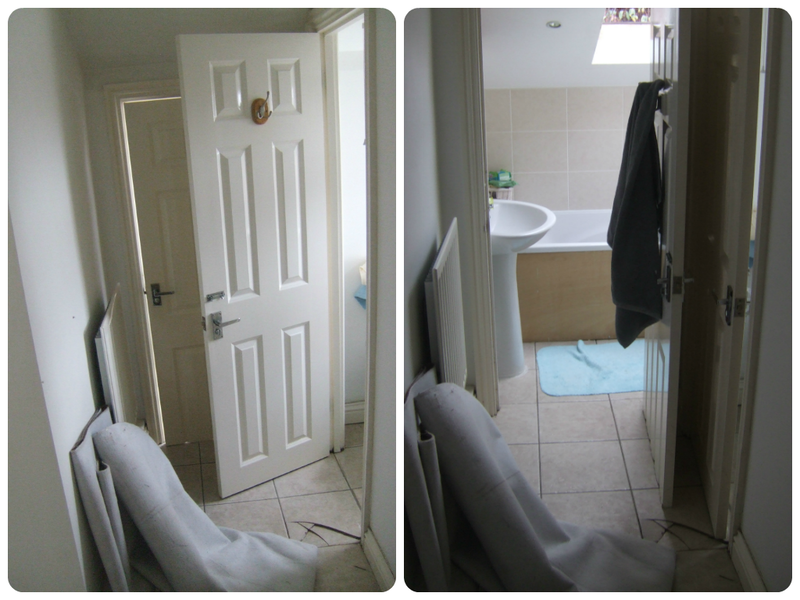 In order to maximise its rental revenue, the bathroom was split in two. I've yet to discover how or when, but there is a shower room and a bath room next to each other, separated by mouldy partition walls and two awkward, back-to-back doors. This means we are left with two rooms that are crampt (although still light and pleasant) and a huge amount of dead space, making the long L-shape corridor feel even more protracted. We're going to knock it through! If only I knew the first thing about bathrooms... I don't know where to start!